Known since ancient Greek times, the Golden Ratio arises in many areas of mathematics — but did you know it can also provide a basis for artistic creation? 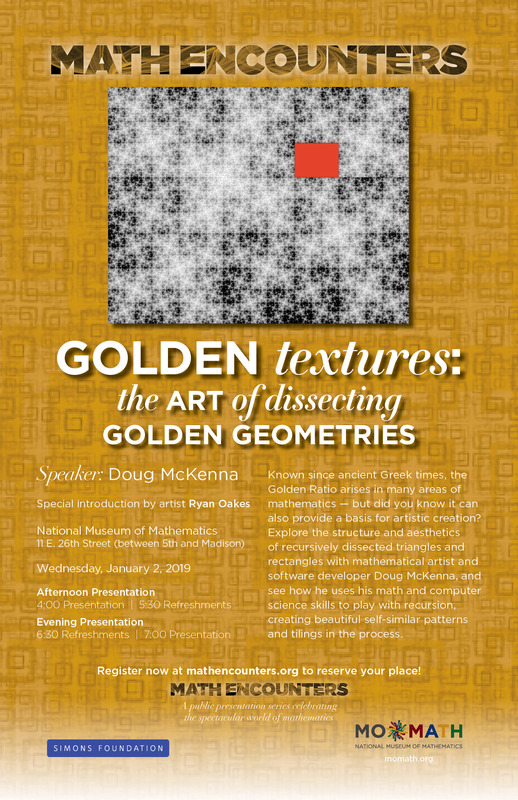 Explore the structure and aesthetics of recursively dissected triangles and rectangles with mathematical artist and software developer Doug McKenna, and see how he uses his math and computer science skills to play with recursion, creating beautiful self-similar patterns and tilings in the process. Special introduction by artist Ryan Oakes.